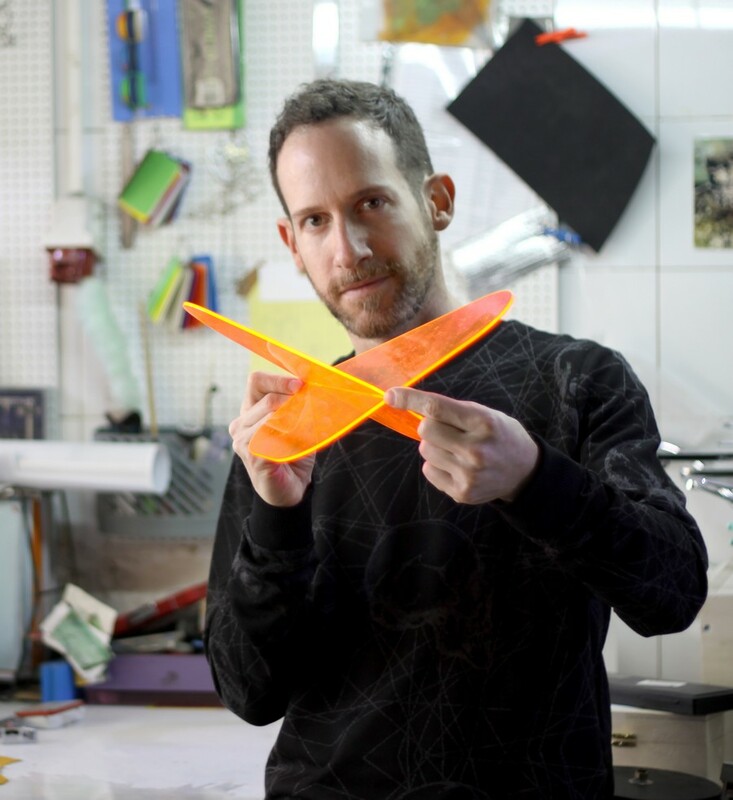 According to a tradition, this year the beginning of April will be marked by one of the most important events in the world of furniture design – the Milan Design Week. This is one of the world’s most vital platforms for exchanging ideas, generating new trends and showing innovative design concepts. In this post we’d like to tell you a story of one of the products to be launched at this fair – the Daydream. 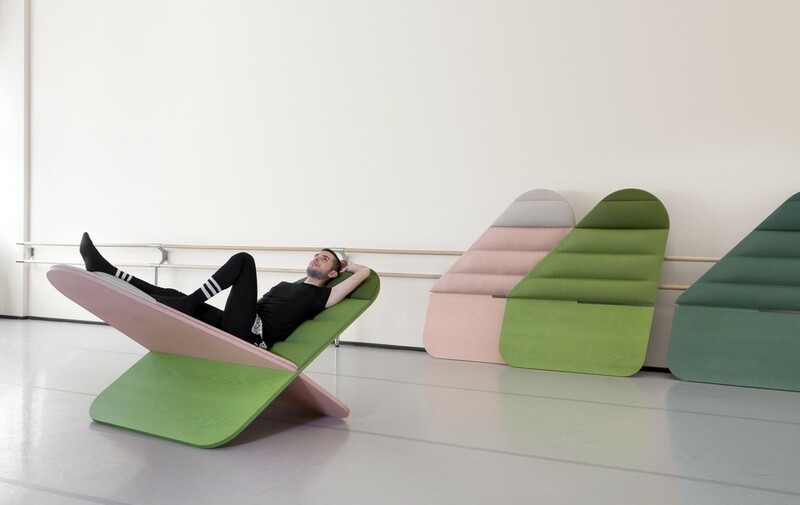 The Daydream is a piece of furniture designed for seating. But it’s neither another peculiarly-shaped arm-chair, nor a new creative sofa design. The Daydream is something brand new in the world of furniture – minimalistic and multifunctional – just as the latest trends want it to be. Almost every new designer piece has a story behind it, and the Daydream is not an exception. Its creation was inspired by two most relevant challenges of present day. The first one is that today’s lifestyle is so hectic that we gradually start to forget that sometimes we need to stop, see the world around us and enjoy this very moment that will never repeat again. One the other hand, the more people live in urban environments, the lonelier they become. Paradoxically, surrounded by thousands of people every day, we forget how to interact with each other. 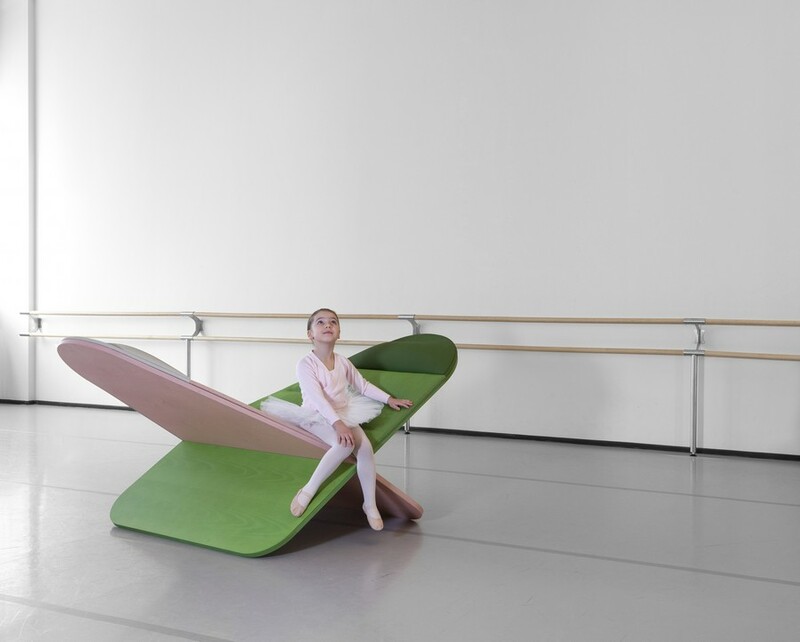 The seat designed by Joynout Design Studio is intended to meet these two challenges at a time. 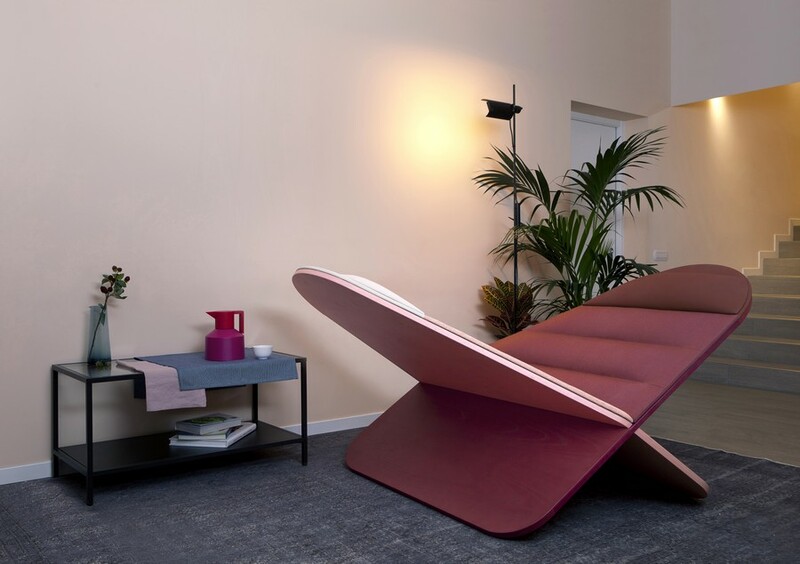 On the one hand, its two incline interlocking cushioned panels offer a sense of privacy, a nice chance to relax and meditate in a comfortable position. On the other hand, the Daydream can seat 2 people at a time, bringing them closer to each other and offering a chance of synergic interaction. 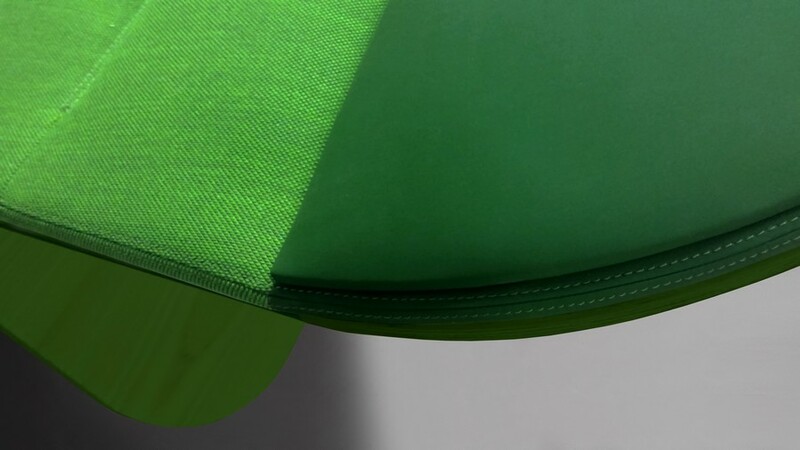 The creators of the Daydream view it as a continuation of their previous project – “D&A” – a series of comfortable public seats designed as crevices and slopes. 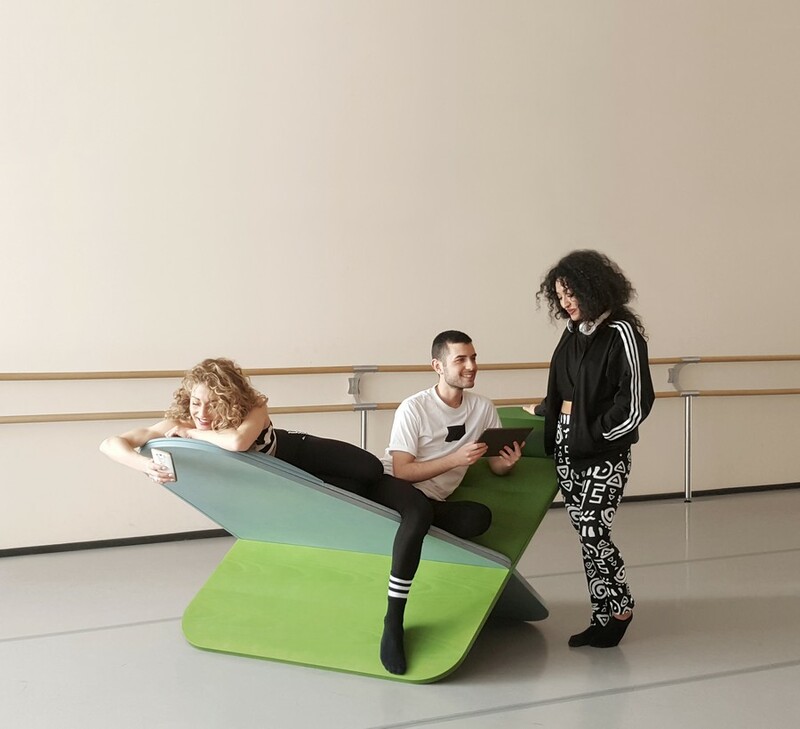 Just like the Daydream, D&A brings people closer and creates more relaxed atmosphere for starting up a conversation on the one hand, and offers a nice opportunity to just sit comfortably and watch the world around from a homey public seat on the other hand. The shape of the Daydream was prompted by a lemniscate – a symbol of infinity in algebraic geometry and just like this sign, it’s hard to figure out where it starts and ends. The Daydream has the following dimensions: 162 cm length x 138 cm width x 96 cm height. It’s suitable for both public and private spaces. 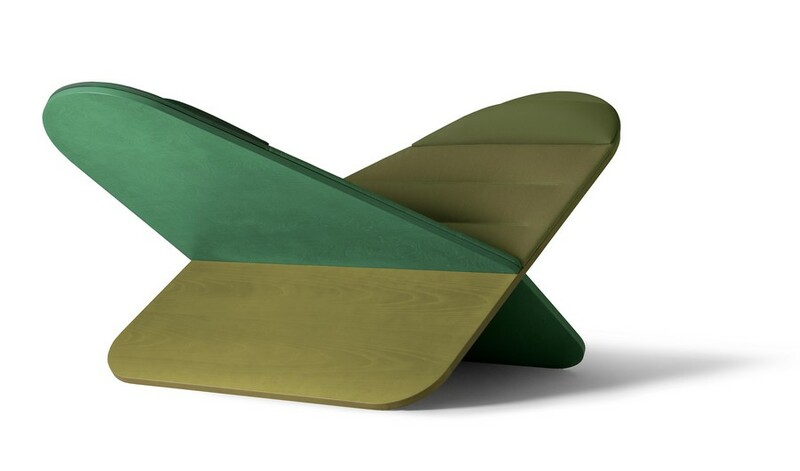 So far there are 10 color options available, and the manufacturer promises that it will be more soon. 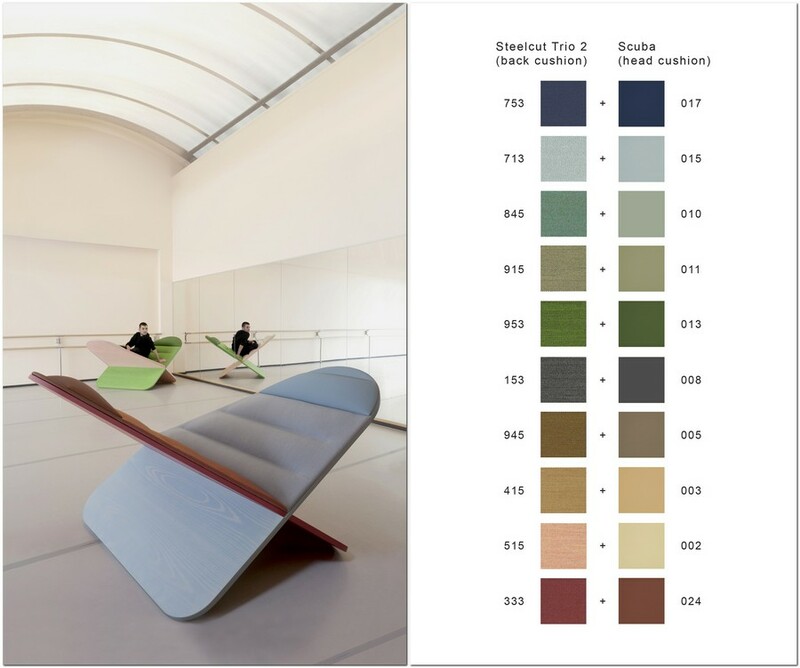 The frame of the seat is made of timber and covered with wear-resistant fabric by Kvadrat. Besides, there are removable head cushions for easy cleaning and maintenance. All the materials are of Italian and guaranteed be of top quality.